Indie Game Spotlight is a weekly feature where I highlight an independent game that deserves attention. Given the difficulty these developers have in being heard, every little bit helps. Some will be free, some will cost money, but all are deserving of some attention. P0nd is a one-button, flash game by PeanutGallery that came out I want to say over a year and half ago. It is a strange game and before I go any further I want you to go try it. It won’t take more than a few minutes of your time, definitely not more than 5. P0nd is a strange game as it is one built upon contradictions for a numerous point that don’t make any sense until the end, by which point most will have been left confused, disappointed and/or angry. All of those emotions are part of the point. I know it’s a less than five minute long flash game, but spoilers from here on out. the curl of sunlight on the grasses. To see what wonders the world may holde. Those spelling mistakes are not mine; it is word for word what the opening says. (It uses old English spelling for four of the words, but it isn’t consistent and done for no reason. )Â The atmosphere is very relaxing until you get to the titular pond. You do the inhale, exhale, feel relaxed, enjoy the scenery thing until it all goes to hell. A giant cell-shaded squid emerges from the pond and the soundtrack turns from light piano to hard rock and the sky turns blood red. Two health bars appear at the top in traditional fighting game style with instructions of what to do flash on screen. It ends with a cutscene of a meteor coming down and laying waste to both the squid and the pond and a scene of your character standing there, with what I can only imagine as the biggest WTF expression on his face. It ends in the evening with the avatar returning to his cabin and turning the TV on as represented by the noise and the windows flashing white, green, blue and red. We then get a parting quote, “I may be wrong…” – Roger Ebert. This is a clear reference to Ebert’s now famous claim that games can never be art that after much argument and much digital ink refuting him, he recanted saying he doesn’t know enough and that, who knows, he may be wrong. There was more to that hence the ellipses. From this we have a new lens to examine the game through. The game is a commentary on the nature of the game industry at this point. It all comes from a place of synthesis. No single part of the game has any part of that commentary built in. It is in the compare, contrast and finally the end where it becomes apparent, or rather, the thesis, the antithesis and finally the synthesis. We don’t know at the time, but afterwards we can look at the beginning segments of the relaxing indie game with an innovative or at least different looking enough to subscribe to the stereotypical indie game label. The opening poem is pretentious, the pixilated look, the light piano music, the game could probably win at indie game bingo. Then we arrive at the pond and everything becomes EXTREME. The graphics, the music, the animations are all EXTREME and meant to pump you up. It’s all about the hyper action of the AAA game industry looking to have you participate in awesome looking things, even though you have no agency. Now we have an avatar after the fact just looking confused. He went out promised something Zen or sublime and his experience ended with this. Better to go off home and watch TV instead. In this environment, where even something new and possibly enlightening done through mechanics is saddled with tropes and conventions that make a game a game so that people wont be confused or something. In the end everyone leaves unhappy. This moment punctuated by the Ebert quote now reading almost mockingly. Yes, he may be wrong, but we certainly aren’t helping. The meaning is hidden in the synthesis of the game. Here it uses it by having the thesis and antithesis as contradictory elements. I can see in another game using discordant, but not contrary elements to create meaning. The purpose is that the game recognizes the differing elements and presents a conclusion immediately after they have been recognized and internalized. It’s not something I see in game much like I see in other mediums. Not all games with discordant elements though are doing this or are capable of it. It requires recognition on the part of the creator and a conscious effort in the game to pull it off. This isn’t a deep game by any means, but it’s a perfect example in a seemingly ongoing argument I’ve been having about authorship. There is a contingent in all art forms that claim the author has no say in the meaning of their own work, that only what is in the text matters and everything else is unnecessary. Now despite the logical fallacy that without the author the work couldn’t be created, here we have a work that with the text alone is not great. Then the author reaches out at the audience and smacks them across the head. The author’s voice is loud and clear in what they are trying to convey. With that, I cannot see, at least in this case how the specific author’s voice does not matter to a work in which it is embedded, regardless of what you think of it. 2 Responses to "Indie Game Spotlight: p0nd"
This is a bit of a misrepresentation of the intentional fallacy/Barthes’ Death of the Author. Barthes at least isn’t arguing that “the author has no say in the meaning of their own work”, just that they are not the ultimate authority in determining its meaning. Barthes argues that the context of the reader is far more important in determining what meaning they make from a text. For example, the Ebert quote is meaningless to those without an existing understanding of the ‘are games art’ debate. 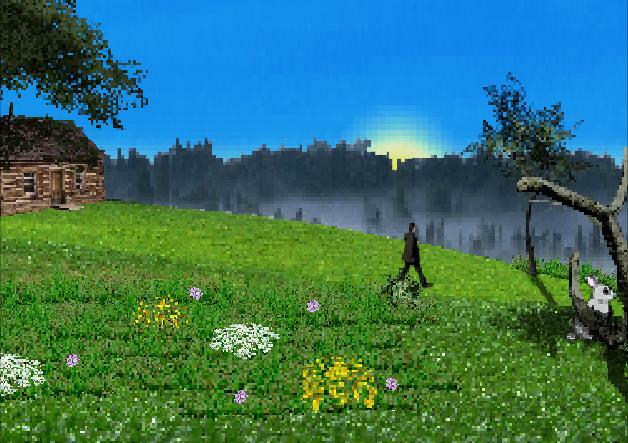 The initial sequence relies heavily on the player’s familiarity with art games for meaning, just as the later action sequence relies on their familiarity with similar action games. Without the context of familiarity with these elements, the meaning of the game is drastically altered, regardless of the author’s intent. The author’s voice may be loud and clear to you, but couldn’t possibly be to a reader who doesn’t share that context. Also, that line about “the logical fallacy that without the author the work couldnâ€™t be created” is silly and facetious. Nobody’s arguing that the text appears out of nowhere.